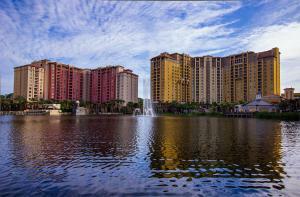 Located in the Florida region, Orlando is a town and its area, population and various key information is listed below. For all your administrative procedures, you can go to the city hall Orlando at the address and times indicated on this page or contact the town hall’s reception by phone or by email depending on your preference or the information available. Orlando satellite image: Orlando town from the sky! Located 1 mile from Orlando International Airport, this hotel is just 7 miles from Florida Mall. It offers free local shuttle services, an outdoor pool and rooms with free Wi-Fi. Located on the Walt Disney World Resort property, this Orlando resort features 5 outdoor pools, 3 restaurants, and free Wi-Fi. The Wizarding World of Harry Potter at the Universal Orlando Resort is 13 miles away. This Orlando hotel is 1 mile from the Universal Orlando Resort and 2 miles from upscale shopping at The Mall at Millenia. A fitness centre and outdoor pool with sun terrace are provided.